Notes: Warmed up for the full 10 minutes. Strapped on my HR monitor and got going. 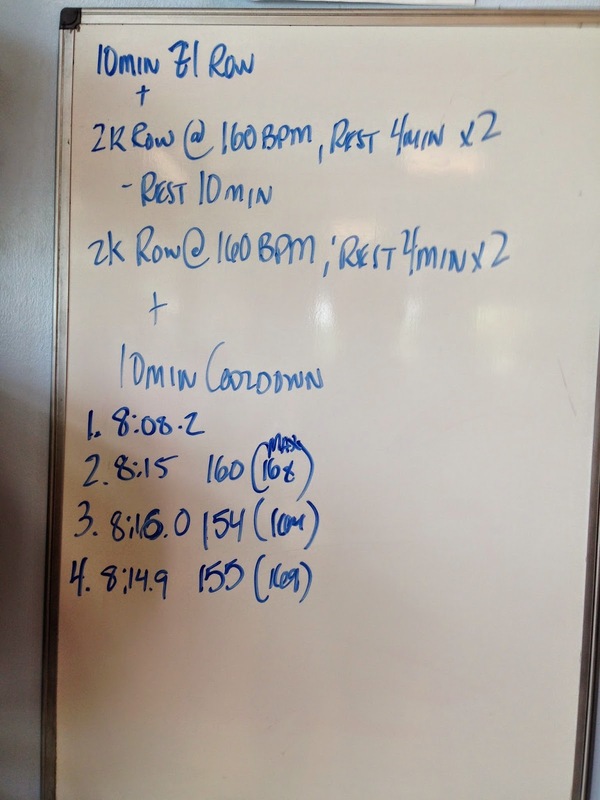 The first interval was probably the worst because it always takes time for your mind to settle in and accept the fact that you will be on the rower for a while. Heart rate creep caused the time to go up so I was probably able to hold a 2:04 pace at the 160 BPM. Continuing to build the volume and lower heart rates.